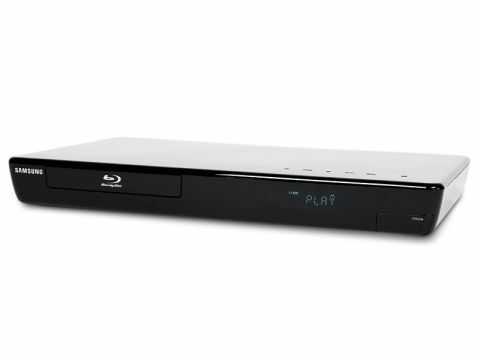 THE BD-P3600 IS a remarkable Blu-ray player in many respects and it boasts a number of features that you won't yet encounter on any of its rivals. Chief among these is the inclusion of wi-fi support, made possible by the supplied USB stick that plugs into the port on the rear. Not only does it enable you to download BD Live content without a LAN cable, but you can also stream music, video and photos wirelessly from PCs on your home network. Another less glamorous yet equally convenient feature is the 1GB built-in memory, which means you don't need to add a USB flash drive to store downloads and firmware updates. It also leaves the second USB port on the front panel free for digital media playback (which even includes DiVX HD). We should also mention that the BD-P3600 is by far the best looking, set-top-style player Samsung has produced, with a sleek gloss black finish, minimal fascia clutter and touch-sensitive buttons on the top. Rear connectivity includes 7.1-channel analogue outputs, which pump out decoded Dolby True HD and DTS HD Master Audio signals. In action the BD-P3600 is indeed a thing of beauty: the user interface is slick, it's the quickest disc loader we've ever encountered and picture quality is superb. Acute detail response gives the image a crisp, piercing quality while the screen is ablaze with pure, dazzling colours. The Panasonic DMP-BD80 and Pioneer BDP-LX08 just have the edge on picture depth and precision, but overall this is a competent and feature-packed deck with a surprisingly low price tag.